Teen with a Dream is committed to helping kids with their educational journey during, and after cancer. Treatment for cancer, including being immune compromised, makes schooling difficult, and alternative options are needed. Frequent absences, hospitalizations, and “chemo brain” follow the student which cause additional stress.Treatment is a long road full of side effects and Teen with a Dream is committed to helping students overcome barriers and succeed in school. 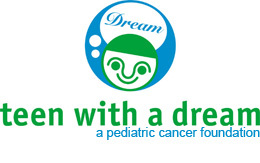 College Scholarships - Teen with a Dream’s College scholarship program is a way to restore scholarship opportunities for teens diagnosed with cancer. Many students see their grades drop and/or are limited in sports which make merit based scholarship harder to reach. Tutor Hours - Treatment means a student will miss an average of 43 days of school, and in addition to the side effect referred to as “chemo brain,” this makes school difficult. Chemo brain makes learning a slow process with extra help needed. Teen with a Dream provides tutors to help students stay on pace in their studies. Laptop Computers - After a student’s diagnosis, school must often be done online during treatment days and hospital stays. Teen with a Dream makes that possible by providing laptop computers to cancer centers so kids can continue schooling during their treatment. Photo Essay Class - Our photo essay class bridges the gap of elective credit hours that are not offered with home study. This creative arts class provides the patient an outlet to work through the emotional trauma of cancer.